These pillows are the perfect compromise for someone who lives with a non-geek or a great solution if you need your place to look less geeky on occasion. (Why you'd want to do that, we're not sure.) On one side they're plain red or black plush pillows with lovely white piping around the edges. 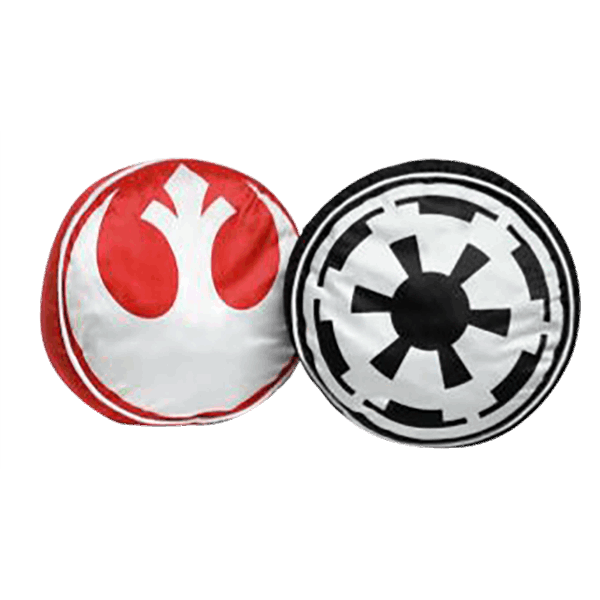 But flip them over, and it's time for a Star Wars pillow fight! 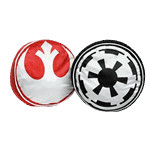 Pillow fight, because one of these Star Wars Throw Pillows features the Starbird from the Rebel Alliance and the other has the Imperial Crest of the Galactic Empire. Dun-dun. Or rather, *Dun dun dun dun DAH dun dun DAH dun. * Flip them to the other side and, ehn. They're just pillows. Flip them again and they shout "A STAR WARS FAN LIVES HERE!" As it should be.